Portable chargers and battery packs ranging ~1,500 mAh to ~24,000 mAh have been in the market for a while now. They are getting better and faster as new technologies coming in. 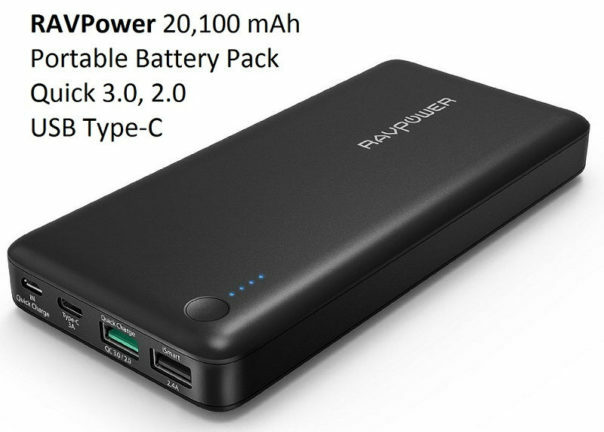 There is a new extra-large capacity 20,100 mAh portable battery pack which packed with Qualcomm Quick Charge 3.0 and USB Type-C made by RAVPower. This external charger provides fast charging while it is backward compatible with Quick Charge 2.0 and standard USB charging. This will charge QC3.0/QC2.0 compatible devices up to 80% within 35 minutes.